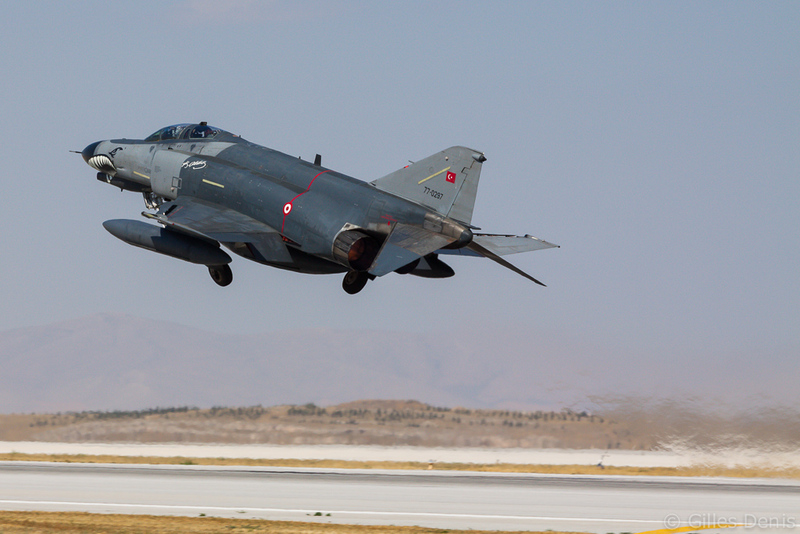 Gilles Denis visited Konya air base in Turkey to witness the Anatolian Eagle 2013/2 exercise. 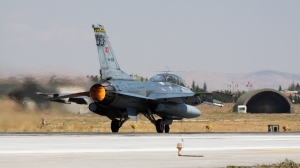 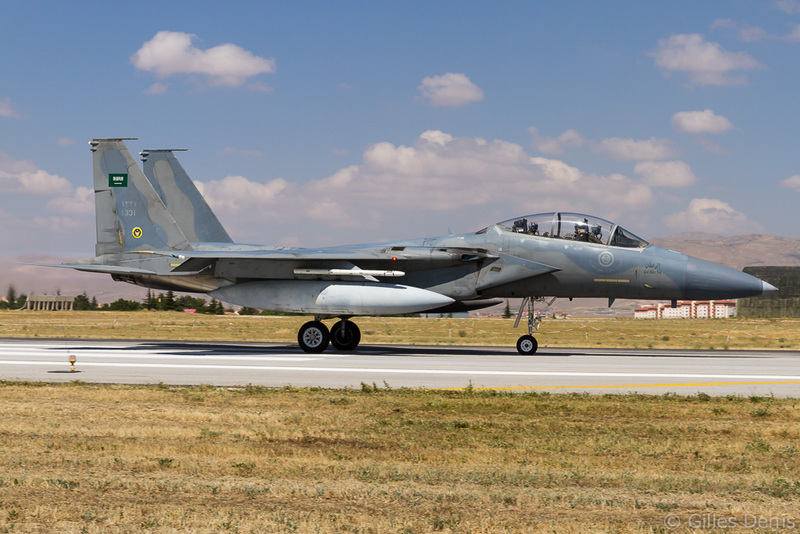 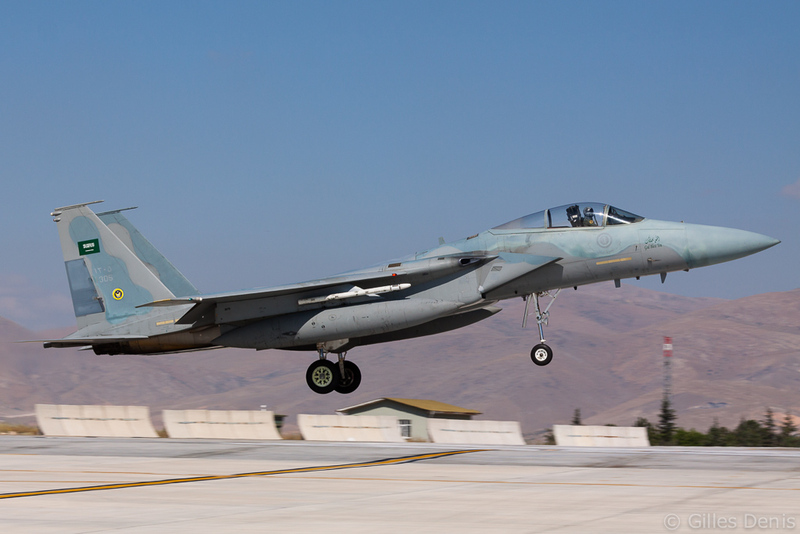 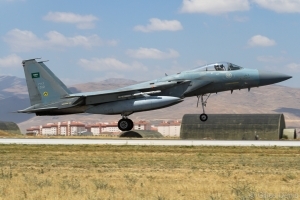 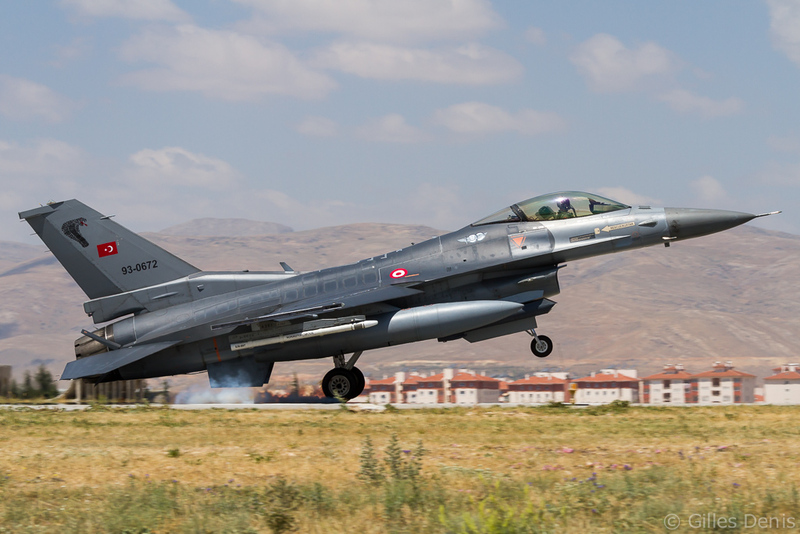 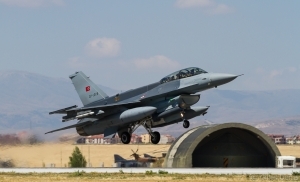 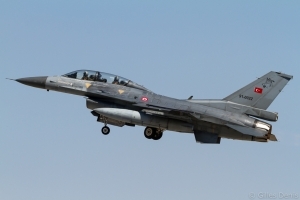 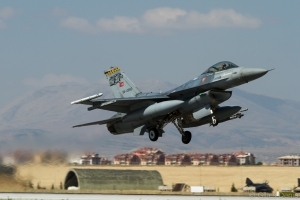 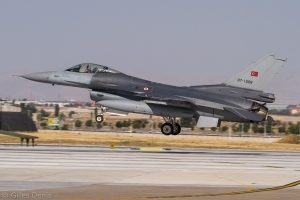 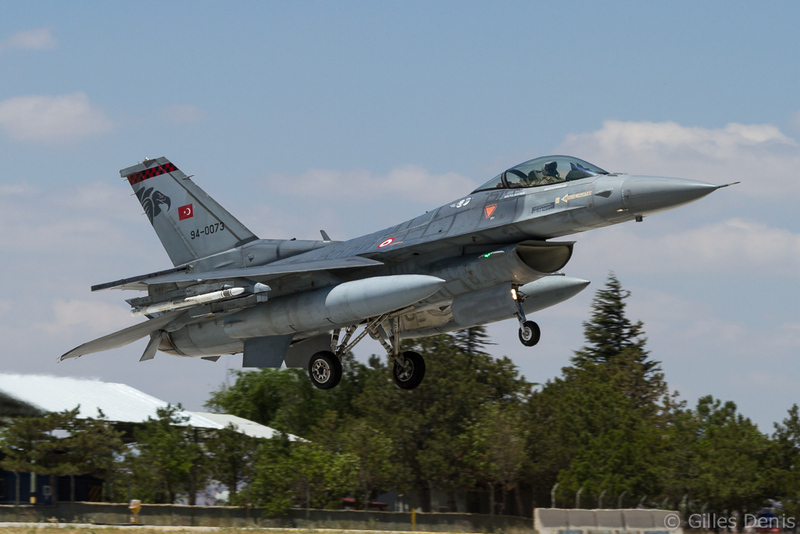 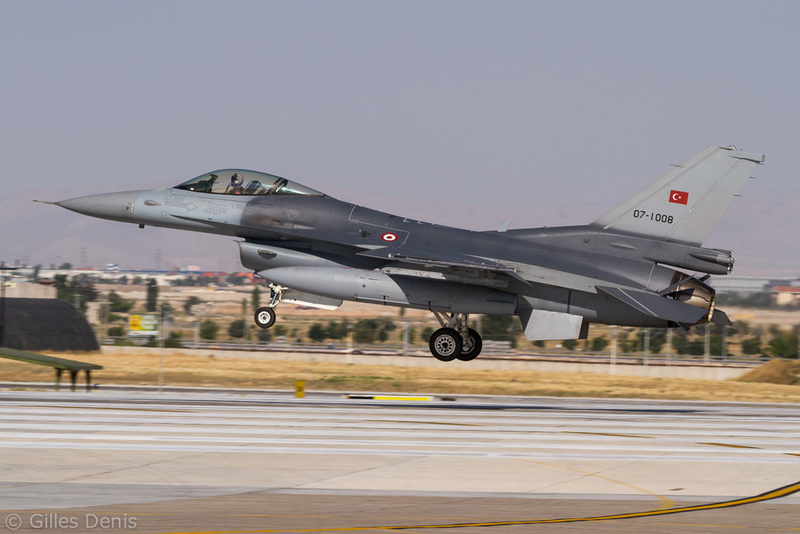 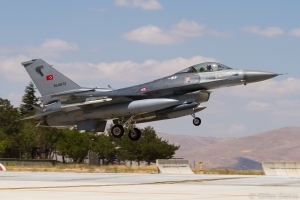 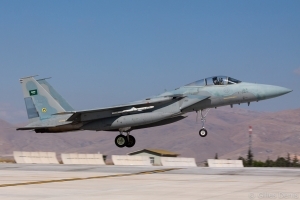 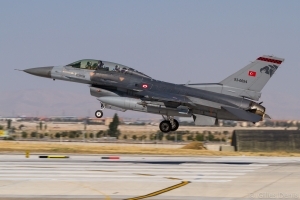 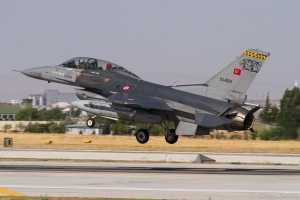 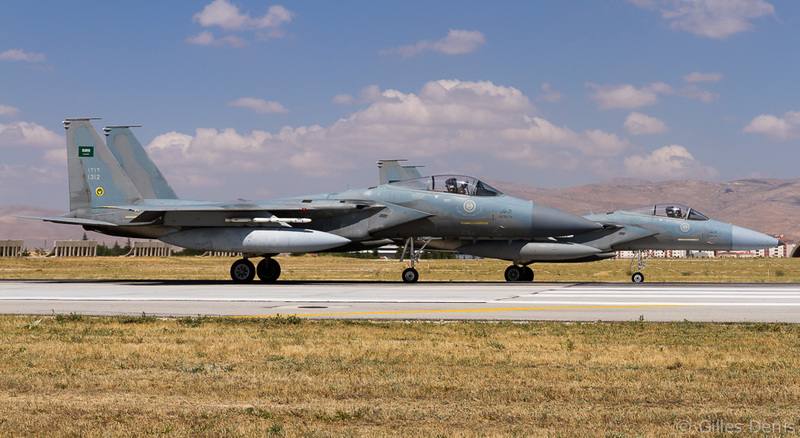 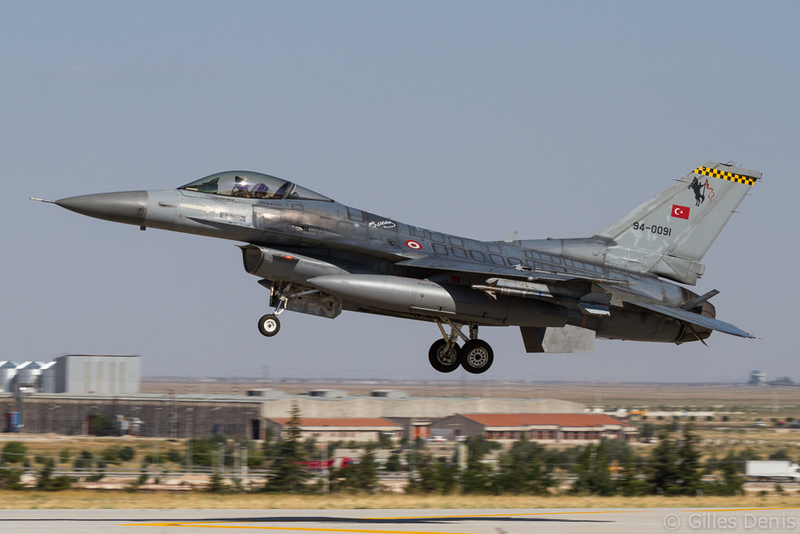 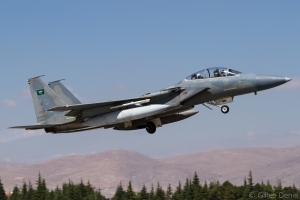 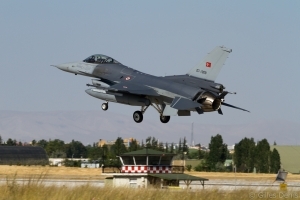 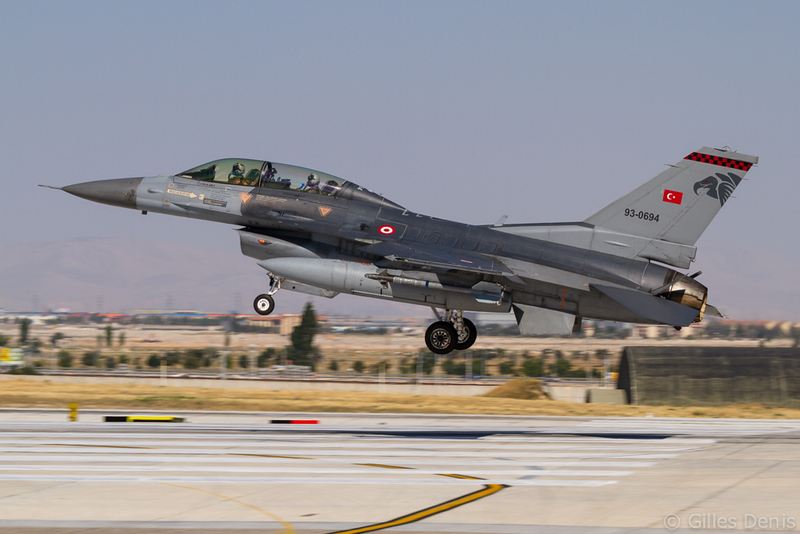 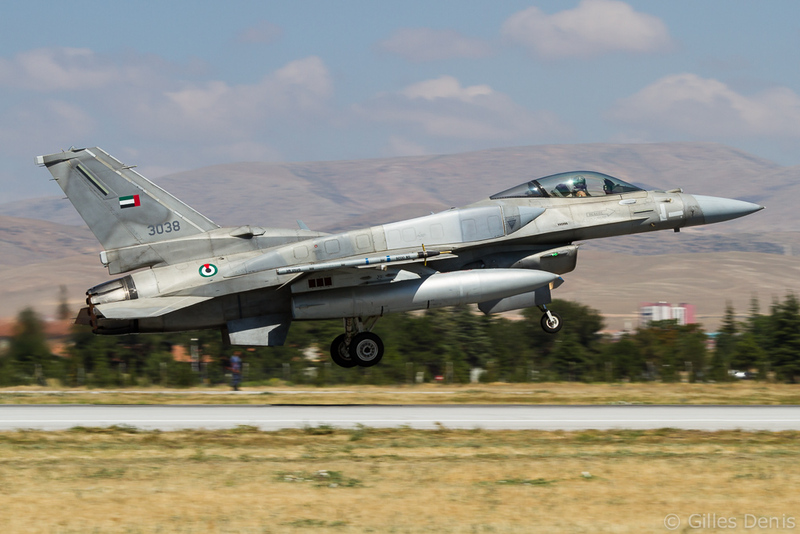 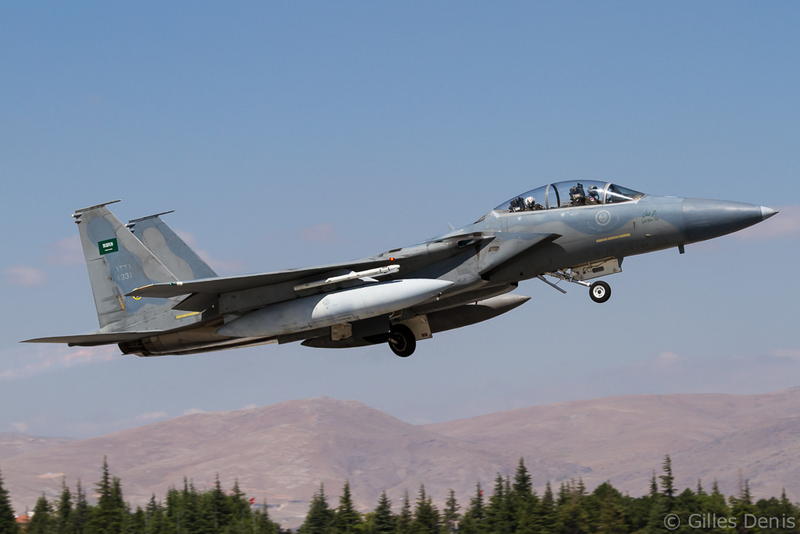 This year’s international session of the Anatolian Eagle exercise took place at Konya air base in Turkey last June. 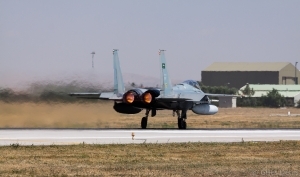 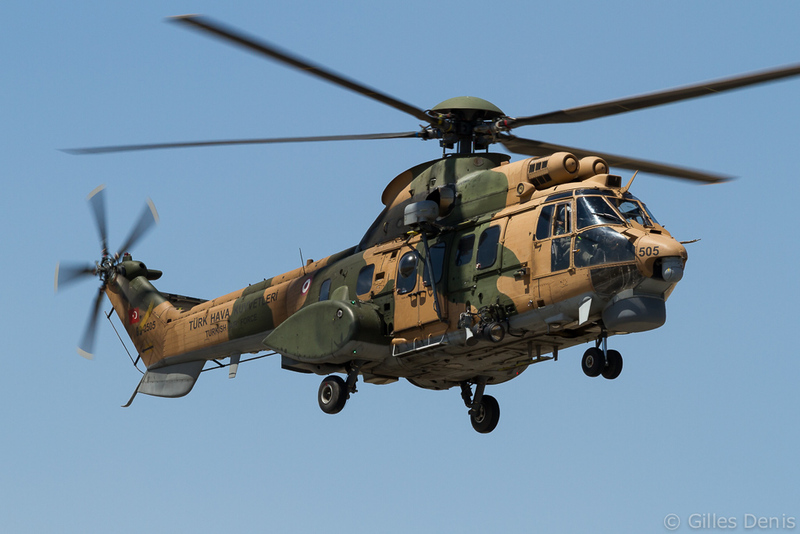 In addition to the Turkish Air Force participation, aircraft from Saudi Arabia, the United Arab Emirates and the NATO Airborne Early Warnig & Control Force took part in what has become a regular and valuable exercise for NATO as well as Middle-East air forces. Turkey joined NATO in 1952. 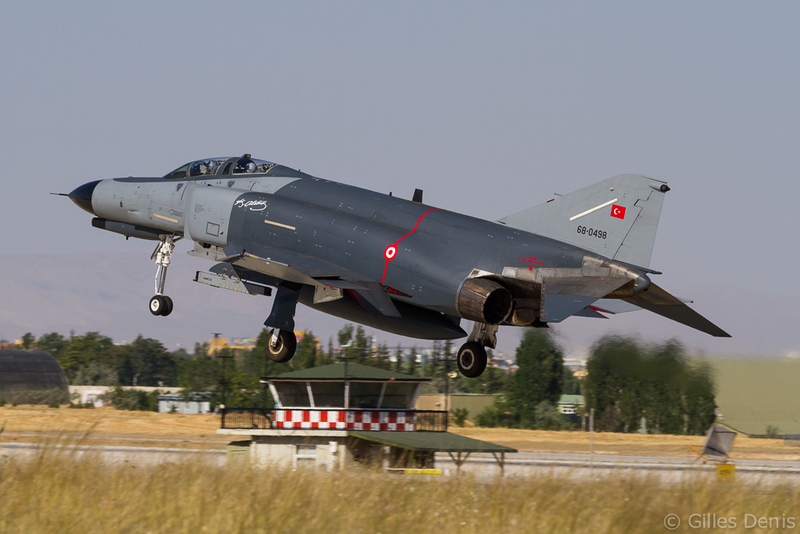 From that point on the Turkish Air Force (Türk Hava Kuvvetleri – THK) operated large numbers of mostly second-hand aircraft coming from West-European countries. 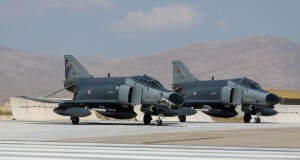 It started with Republic F-84G Thunderjets, North American F-86E Sabres and North American F-100 Super Sabres and it continued later on with Lockheed F-104 Starfighters and Northrop F-5 Freedom Fighters. 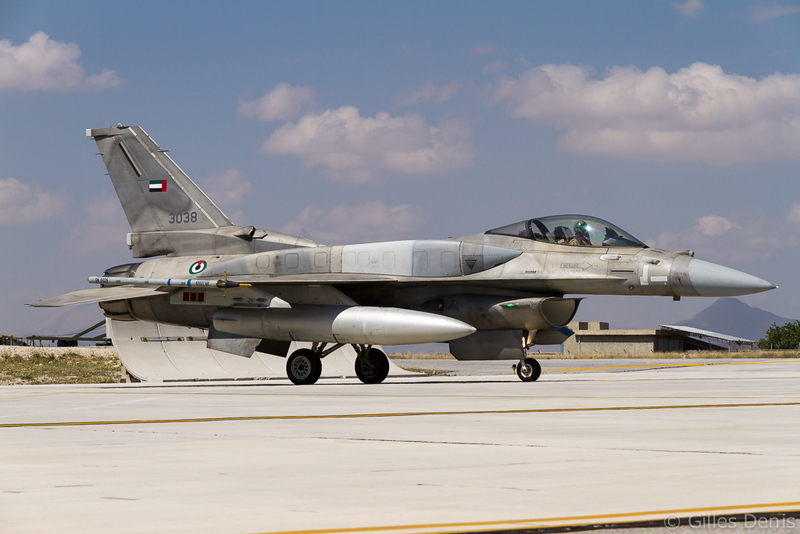 The first taste of ‘brand new’ aircraft came with the delivery of 40 McDonnell Douglas F-4E Phantom IIs in 1974 but it is with the arrival of the first General Dynamics F-16 Fighting Falcon in 1987 that the THK was really able to deploy a fighter equipped with the latest technology. Modern equipment is one thing but it cannot be effective if it is not manned by properly trained personnel. 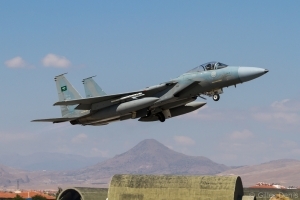 Recognizing that fact, the THK started to invest in training its pilots and ground personnel during the 1980s in parallel to the modernization of its aircraft fleet and weapons systems. 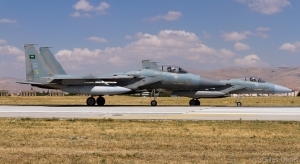 The THK participated in numerous exercises in Europe and sent its first personnel as observers to a Red Flag exercise at Nellis AFB in 1983. 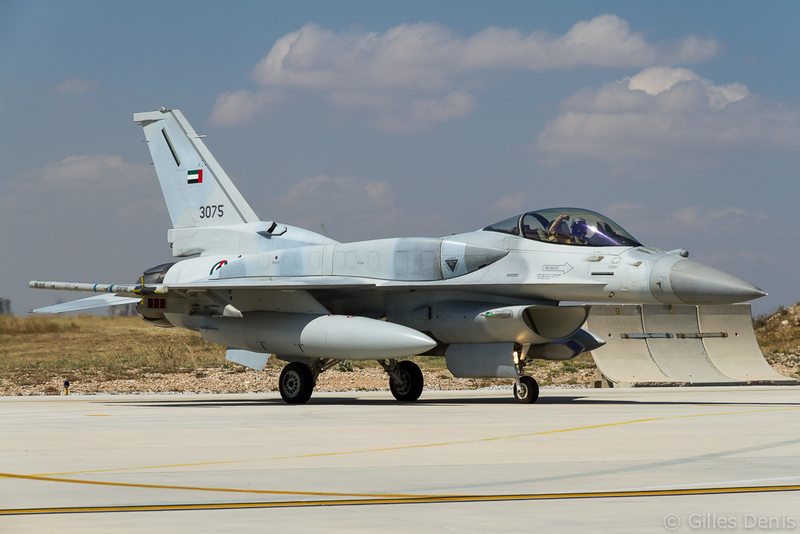 The THK will have to wait until 1997 for the opportunity to send its own aircraft (in the form of 6 F-16s) to Red Flag. 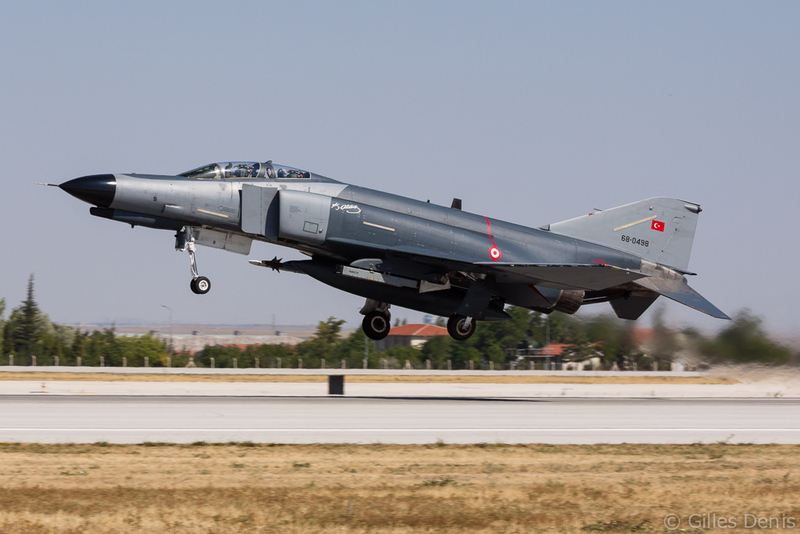 The following year the THK set up its own Red Flag-like exercise at Incirlik air base. 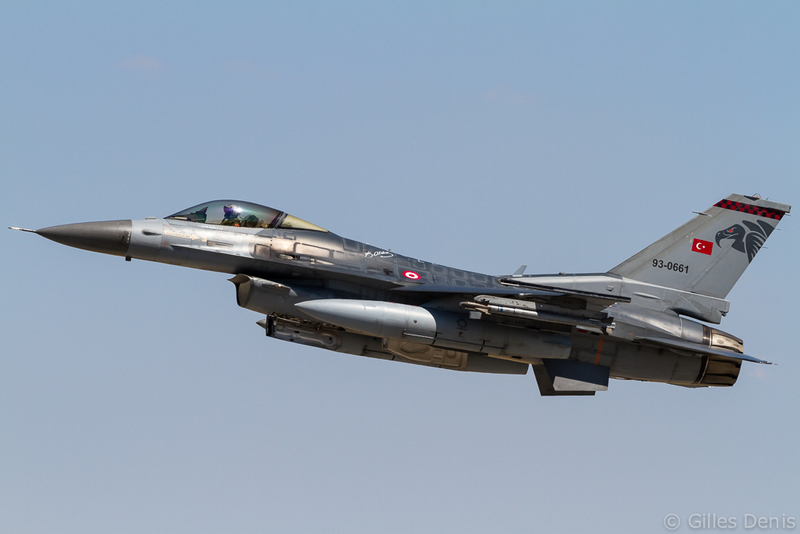 This was called Anatolian Flag and saw the participation of Turkish and American aircraft. After taking part in its second Red Flag in 2000, the THK was ready to set up its own full-scale training exercise. 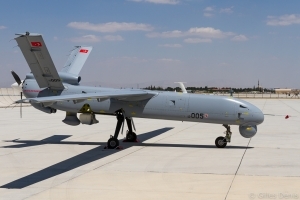 It was called Anatolian Eagle (AE) and it took one year to prepare everything for AE-01, which took place in June 2001 at Konya air base. 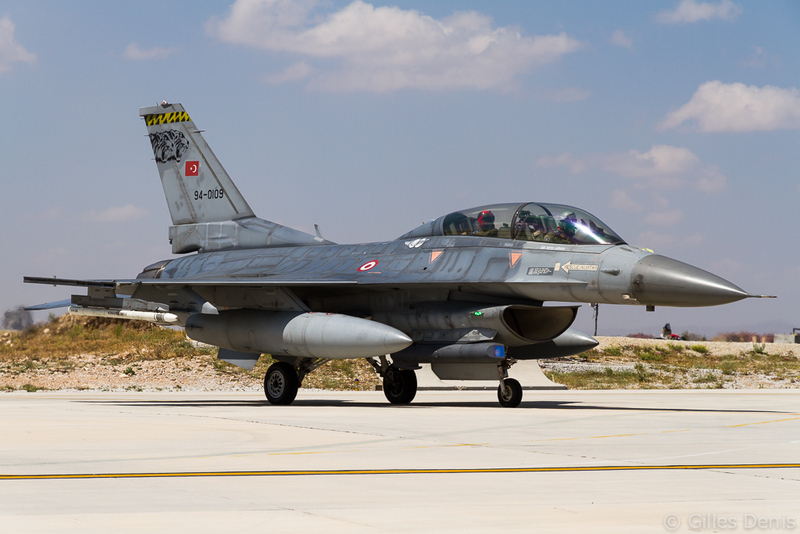 Turkey was joined by the USA and Israel for this first session. Over the years Anatolian Eagle has become an important event in the calendar of NATO and Middle-East air forces. 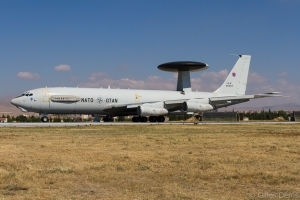 With its geographical position, Turkey has indeed managed to attract participants from its NATO allies but also from the Middle-East and as far east as Pakistan. 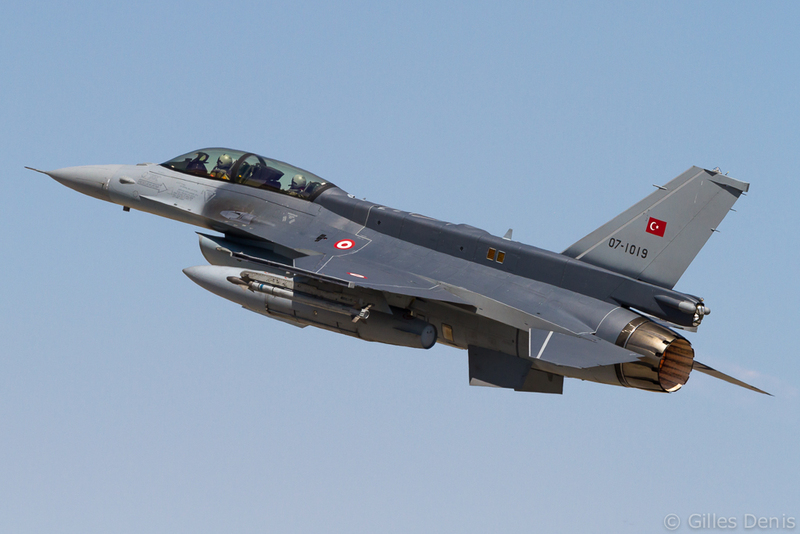 In addition to Turkey, the following countries have taken part in Anatolian Eagle since 2001 : Belgium, France, Germany, Israel, Italy, Jordan, Netherlands, Pakistan, Saudi Arabia, Spain, the United Arab Emirates, the United Kingdom, the United States of America and NATO’s E-3A components. 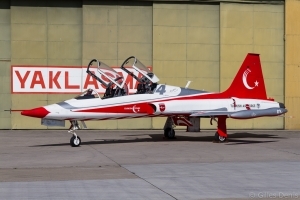 In the past, between 1 and 4 sessions have been organised each year but more recently, 3 yearly sessions take place with the first and last being reserved for Turkish squadrons and the second one open to foreign participants. 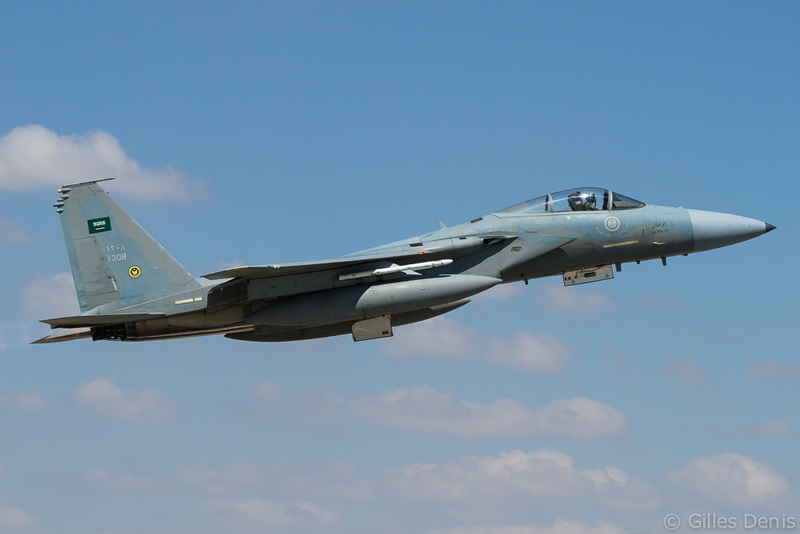 Running from 10 to 21 June, AE-13/2 saw the usual participation of several THK squadrons. 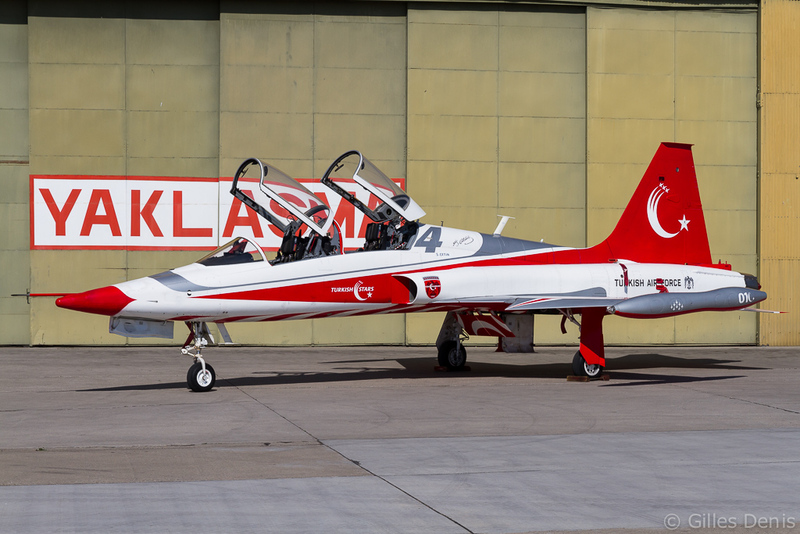 Akinci-based 142 Filo “Ceylan” (Gazelle) brought no fewer than 13 of their brand new F-16C/Ds block 50+; the twin-seaters sporting the impressive long-spine. 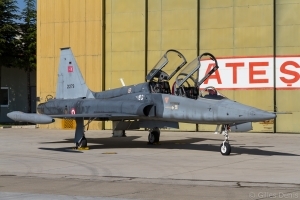 All 142 Filo aircraft wore devoid of any unit markings. 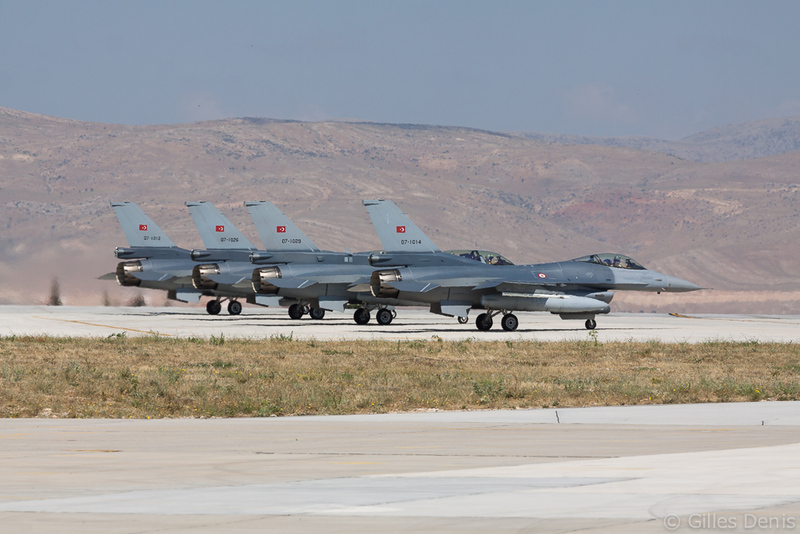 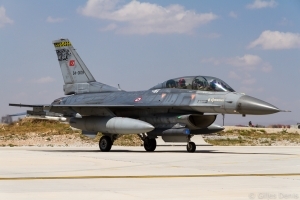 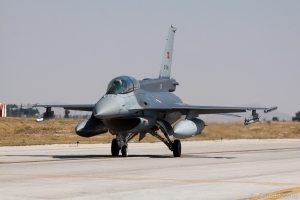 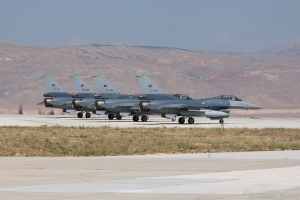 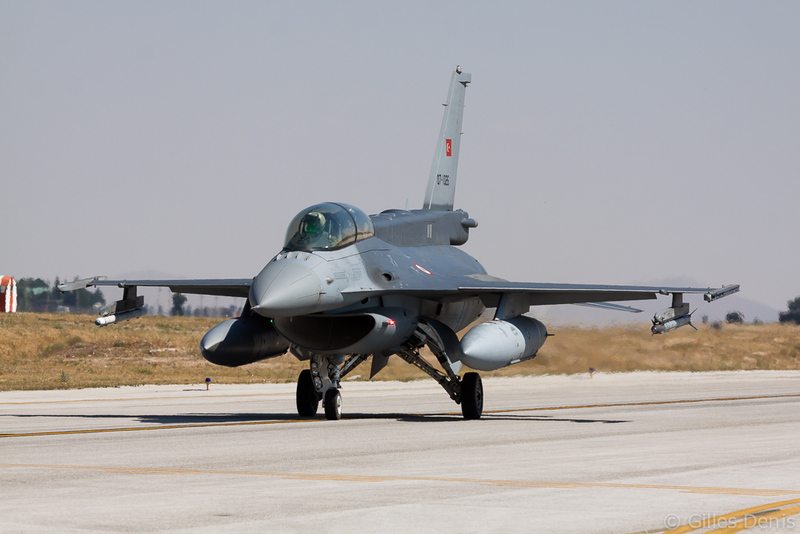 They were joined by two other F-16 units: 151 Filo, “Tunç” (Bronze) based at Merzifon (which borrowed some jets from the co-located 152 Filo) and 192 Filo “Kaplan” (Tiger) which brought a selection of its own aircraft and some from the 191 Filo also based at Balikesir. 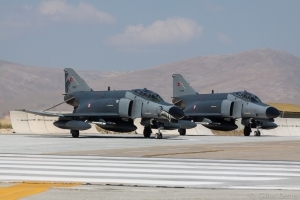 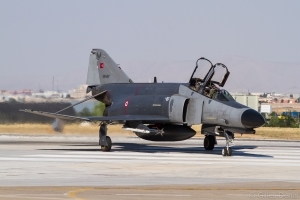 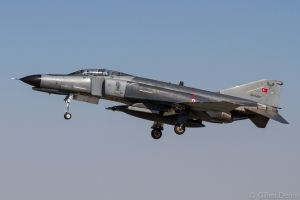 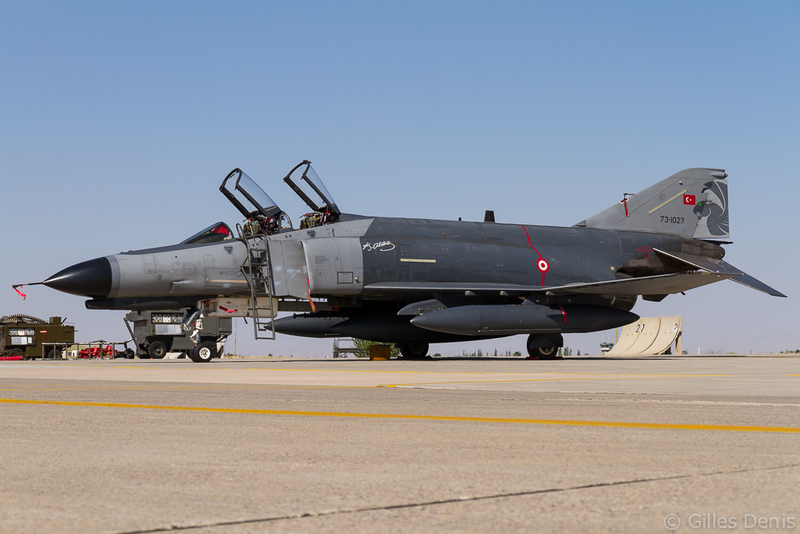 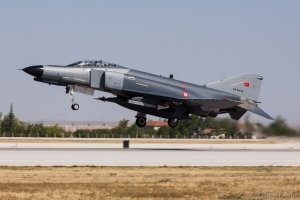 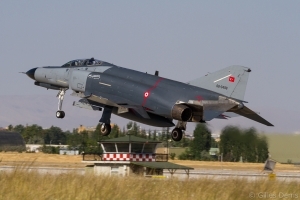 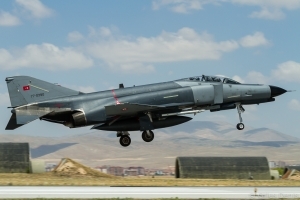 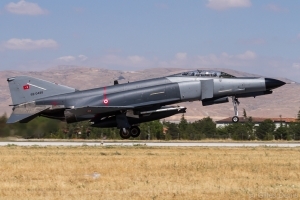 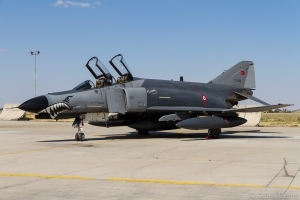 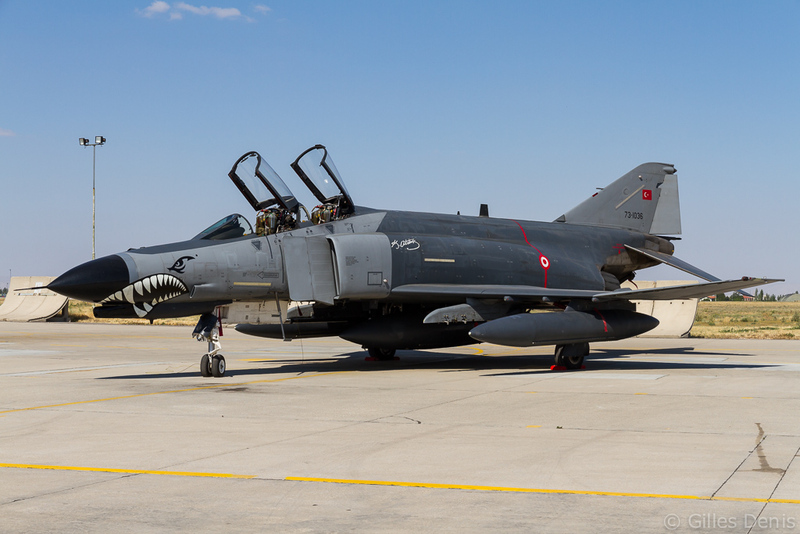 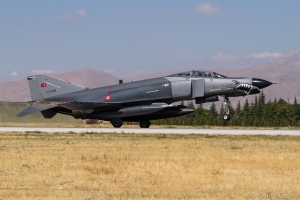 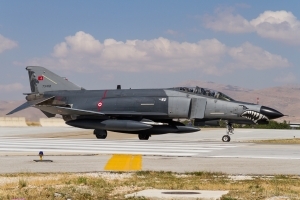 Phantoms were also well represented with a dozen F-4E-2020 Terminators belonging to 111 Filo “Panter” (Panther) from Eskisehir and 132 Filo “Hançer” (Dagger) from Konya itself. Just a few Eskisehir Phantoms wore the markings of 111 Filo, the others being unmarked or sporting just a shark mouth on the nose. 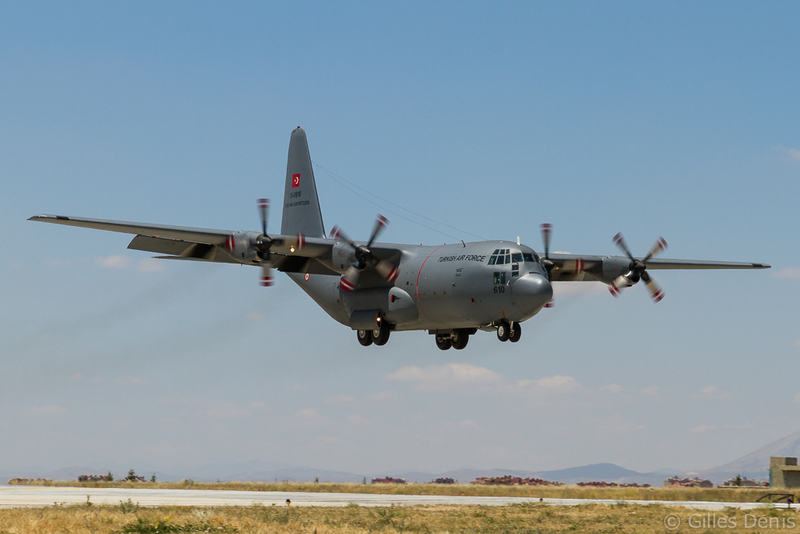 The THK contingent was completed by a single 101 Filo KC-135R operating from Incirlik, a C-130 Hercules of 222 Filo based at Erkilet and a CN-235. 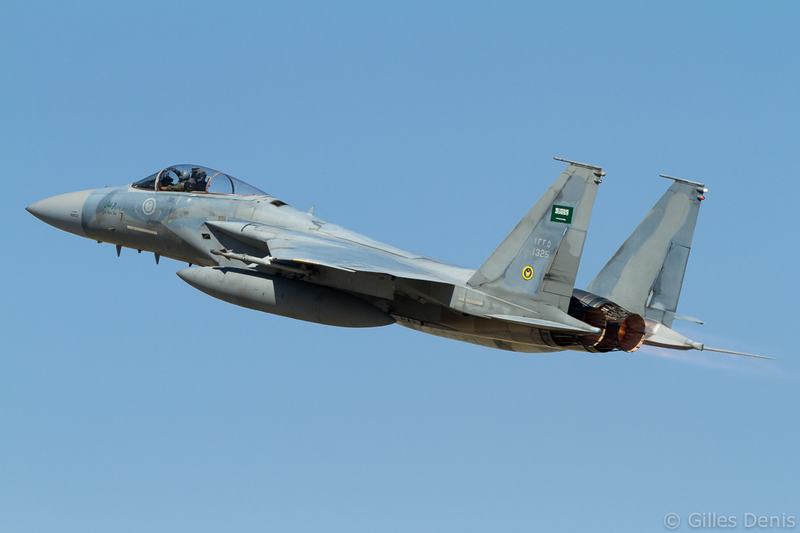 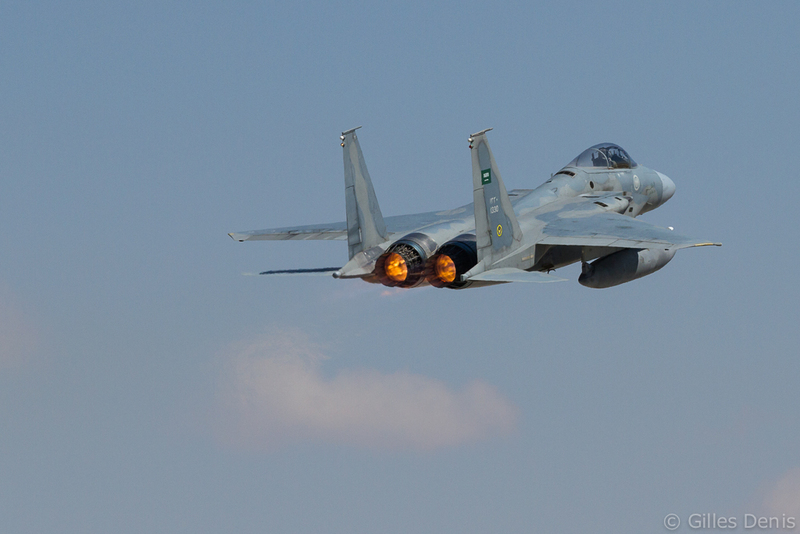 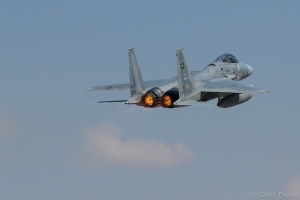 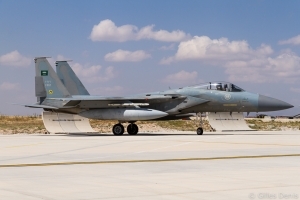 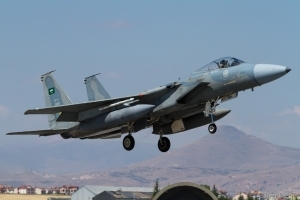 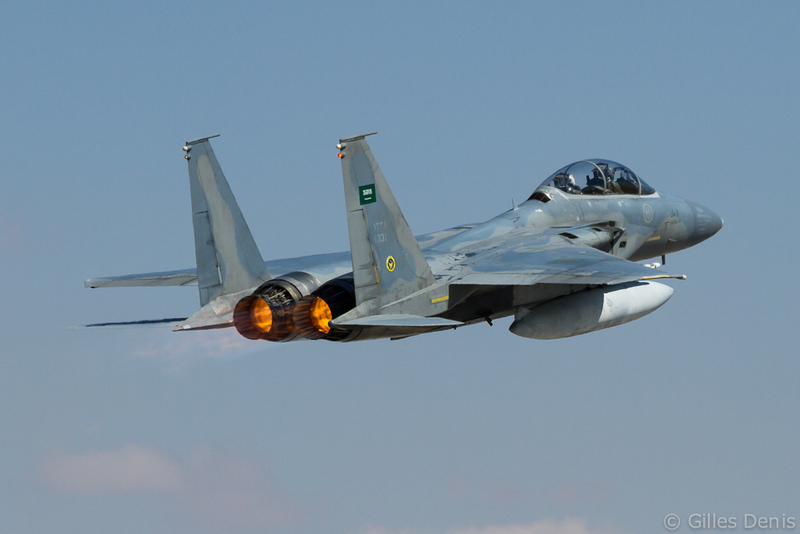 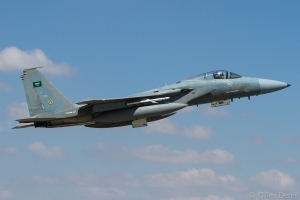 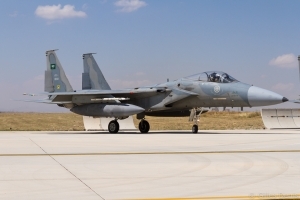 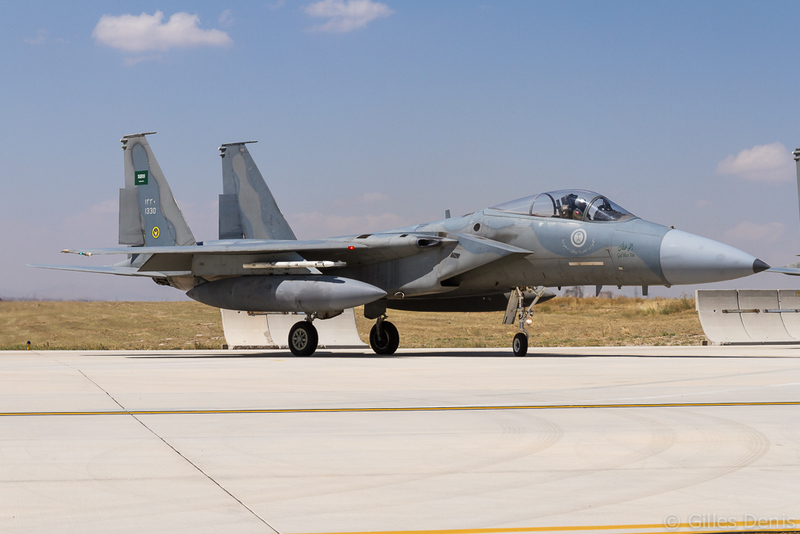 The largest foreign team came from the Royal Saudi Air Force: 13 Squadron, based at Dhahran, sent 7 F-15Cs and 1 F-15D to AE-13/2. 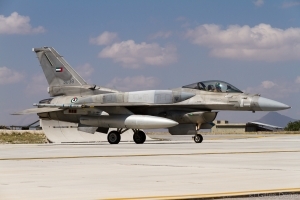 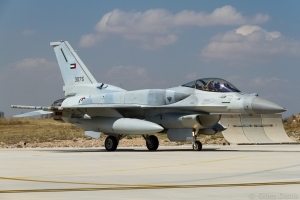 The United Arab Emirates Air Force was represented by 6 F-16E Block 60 Desert Falcons from the Al Dhafra-based Shaheen Squadrons. All the participants were controlled in the air by AWACS of the NATO Airborne Early Warning & Control Force which provided 2 E-3A Sentries for the duration of the exercise. 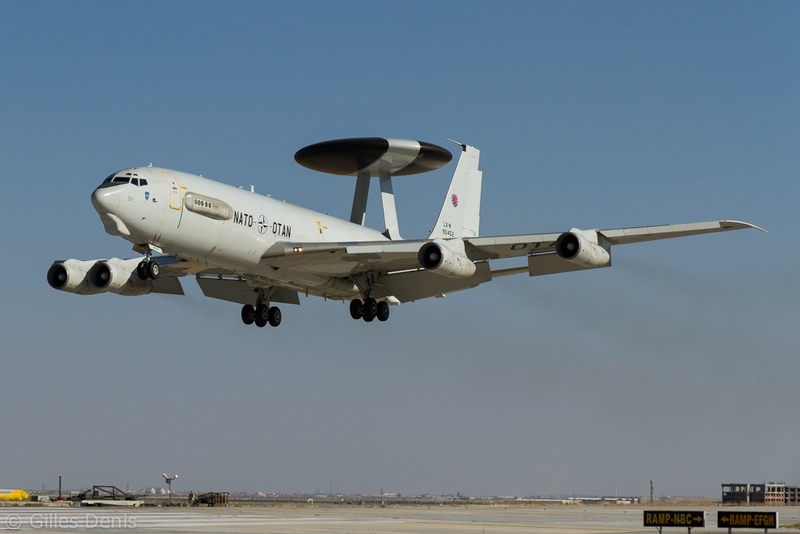 In the future, the THK should be able to provide its own AWACS control thanks to its Boeing 737AEW&C Peace Eagle fleet. 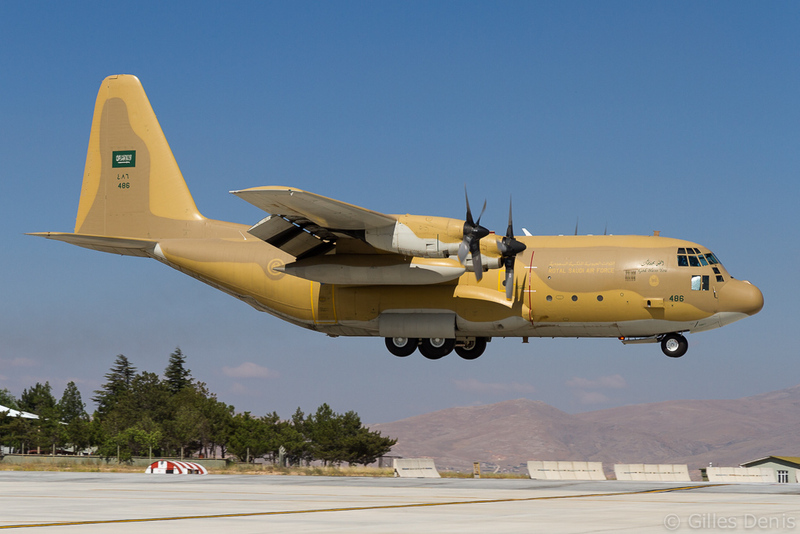 The first aircraft is scheduled for delivery next year. 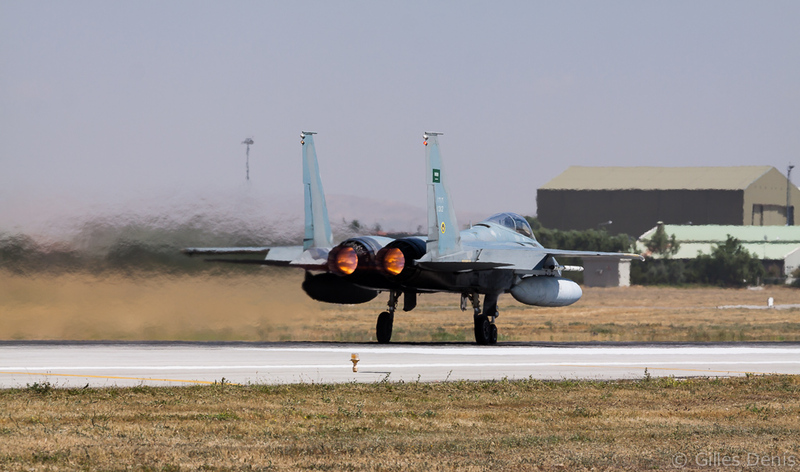 The Royal Air Force of Oman was also foreseen to participate in AE-13/2 but it pulled-out at the last minute. 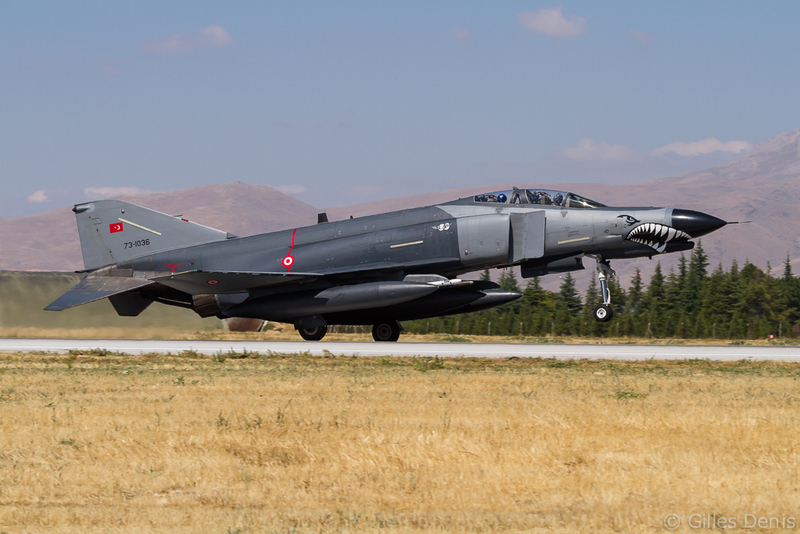 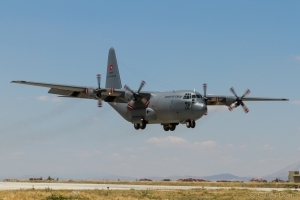 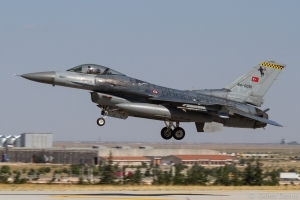 Anatolian Eagle follows the same format as Red Flag with large combined air operations (COMAO) taking place during the two-week training period. 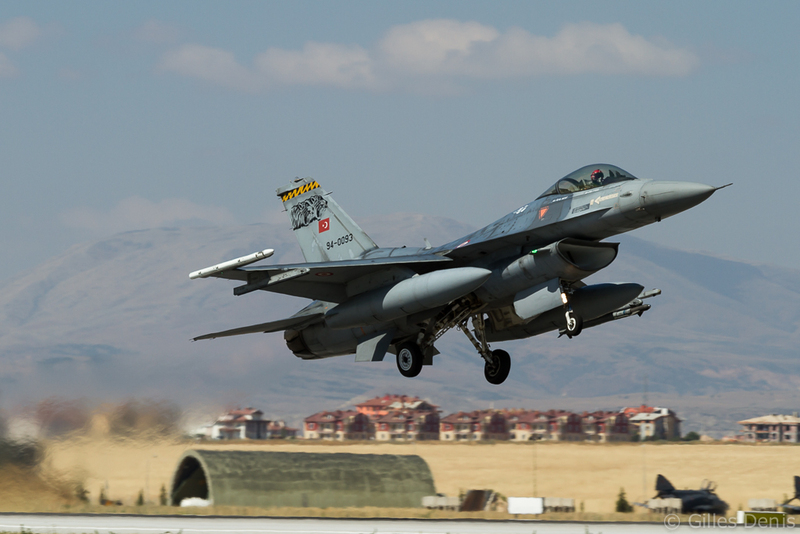 They follow the building-block approach with missions getting more and more complex as the exercise evolves. The position of mission leader is rotated through all units so that the learning benefit is the greatest for all participating squadrons. 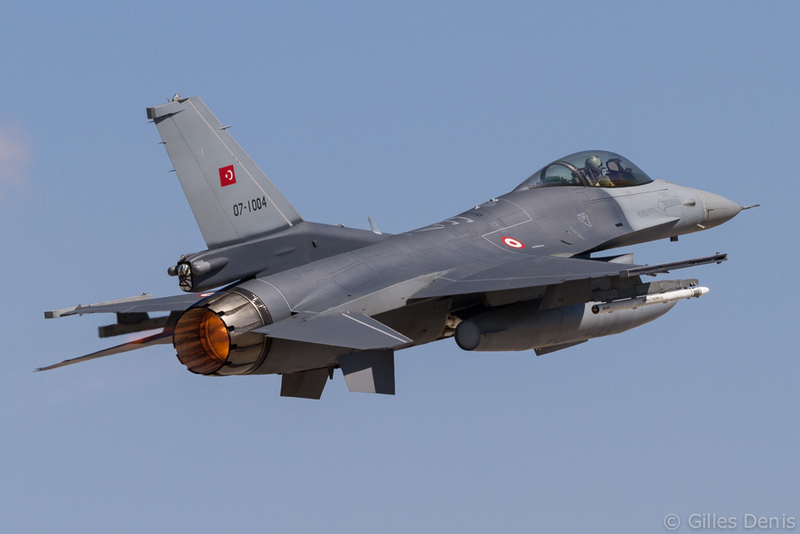 Two missions take place every day (called Eagle-1 and Eagle-2) except on the Friday when only Eagle-1 is flown in the morning. 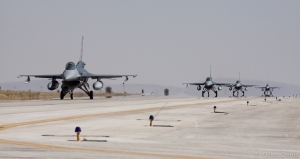 The scenario follows the classic confrontation between Blue and Red forces. 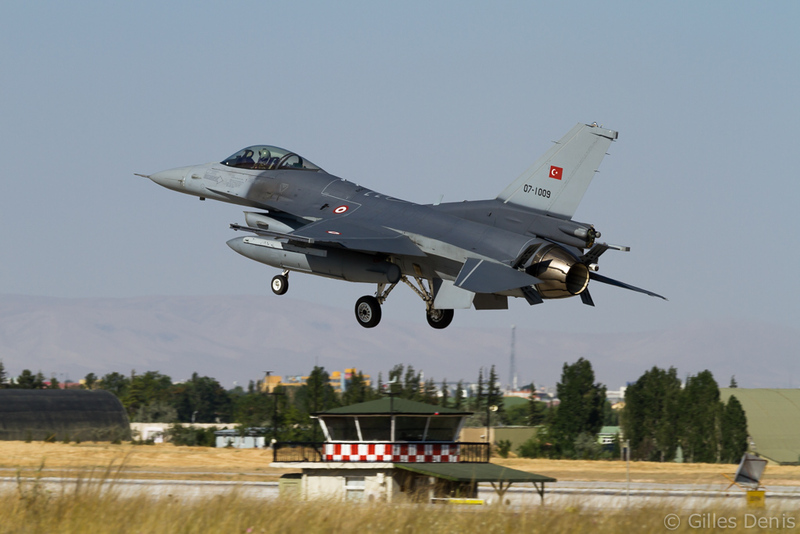 The Blue force is tasked to attack targets in the Red zone defended by Red force fighters and air defence systems. To do this the Blue force carries out large COMAOs that are monitored by AWACS aircraft giving command and control support. 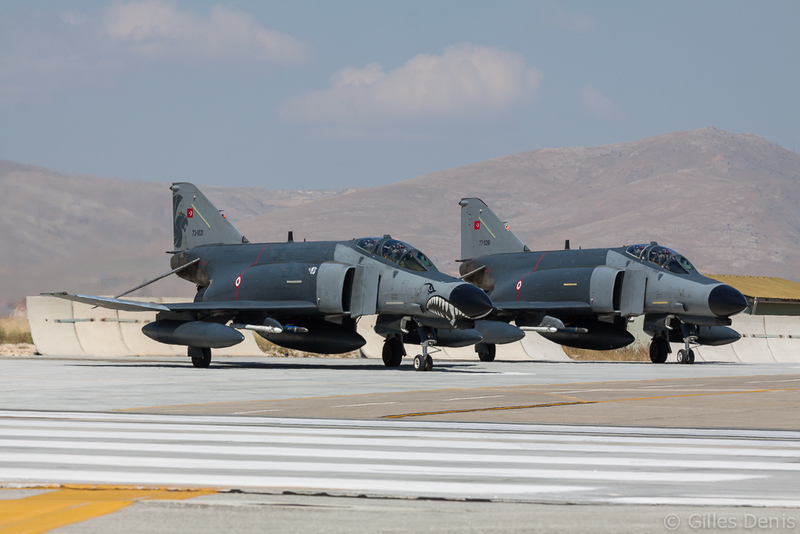 The Red force is controlled by ground-based radar systems. The Blue force has the occasional additional tasks of escorting high-value targets like slow-moving aircraft (C-130 or CN-235), which are added to the scenario on some of the missions. 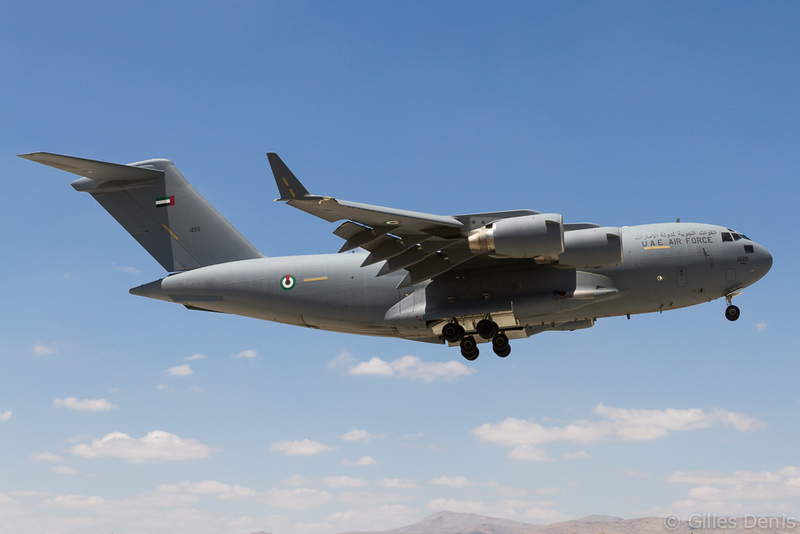 Tanker support is provided to both forces. 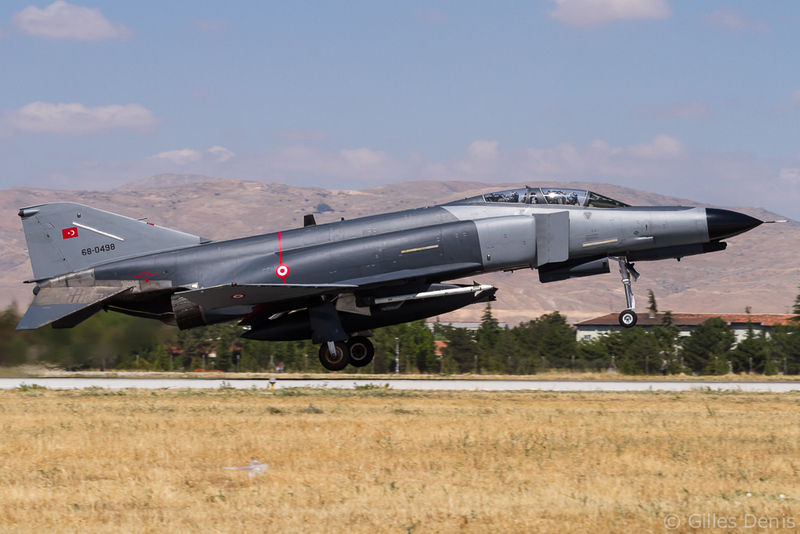 Konya has very good infrastructures dedicated to Anatolian Eagle, which allow the organisation of large COMAOs. 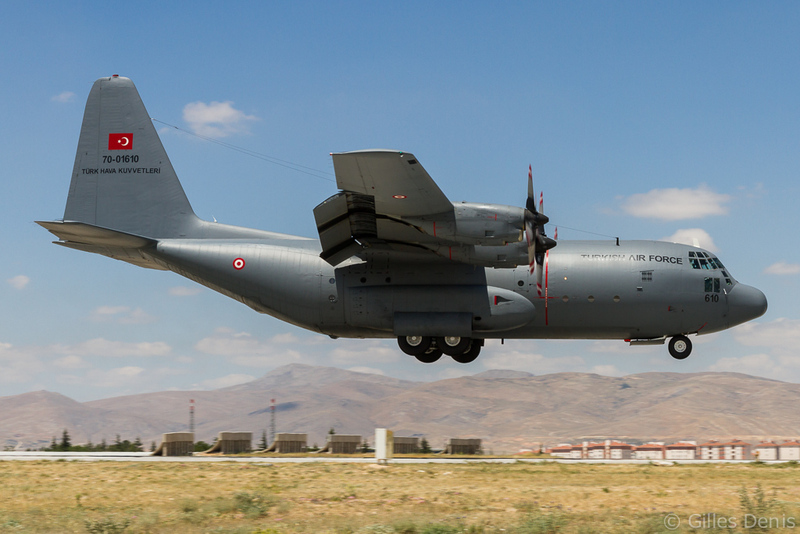 It starts with a very large air space that extends 400km from east to west and 300km from north to south, down to the Mediterranean Sea. 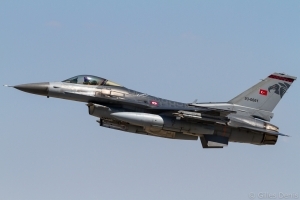 Participating aircraft carry Air Combat Maneuvering Instrumentation (ACMI) pods that allow the Command Control Center at Konya to follow all the aircraft in real time. 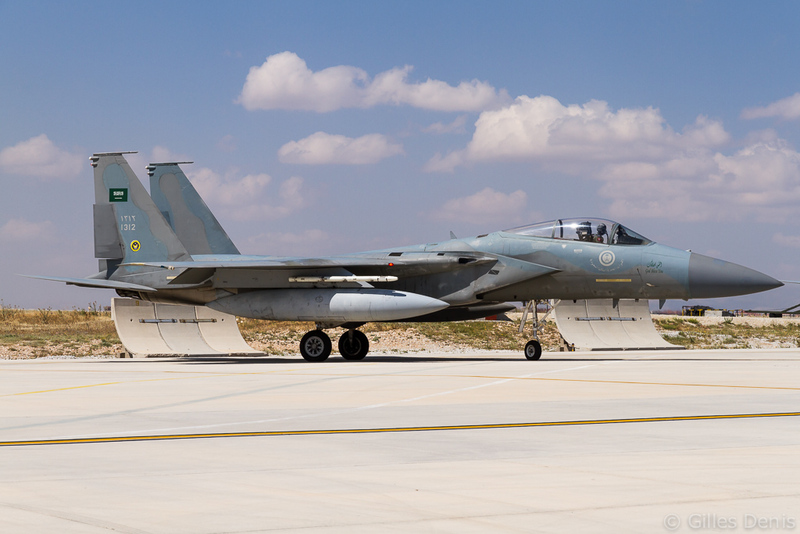 Thanks to this equipment, thorough debriefings can take place after the missions. 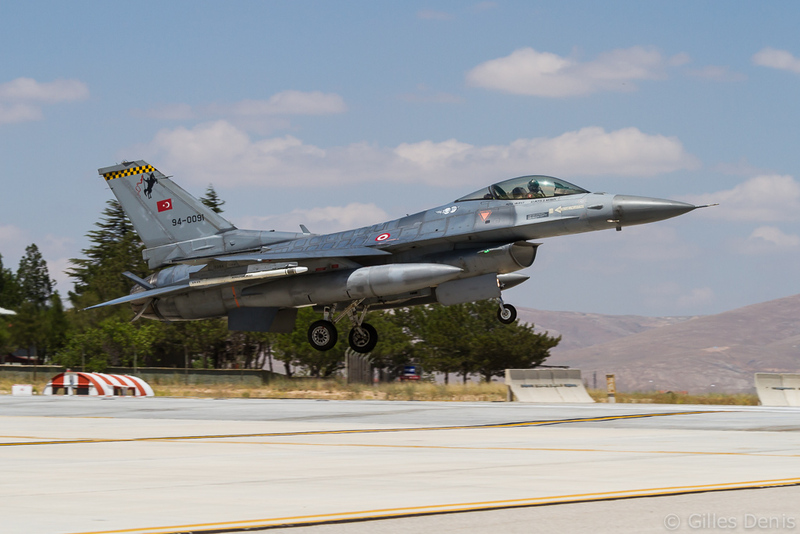 The air base is also well equipped with the necessary facilities to accommodate the aircraft (large ramp areas and maintenance buildings) and personnel (briefing rooms, dormitory and catering facilities) taking part in Anatolian Eagle. 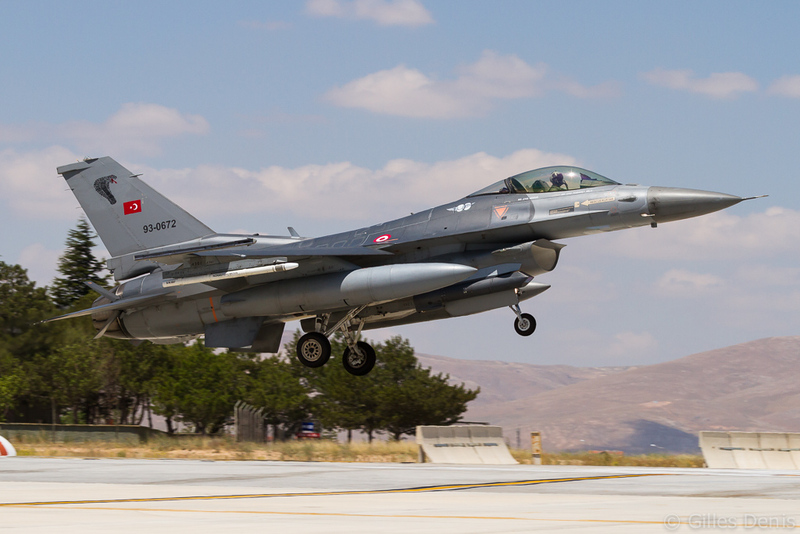 With 54 aircraft present, supported by 540 Turkish and 525 foreign personnel, AE-13/2 was very successful. 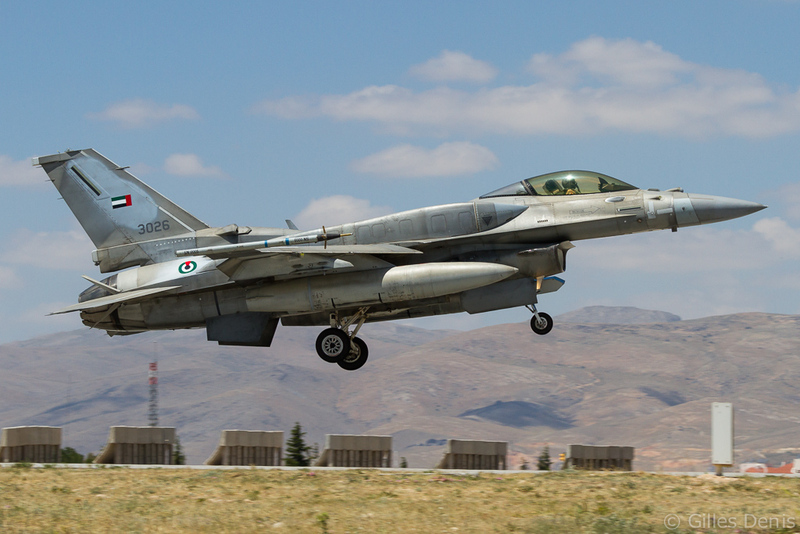 The complex nature of the COMAOs practiced during the exercise allowed all participants to gain valuable experience in this highly demanding environment. 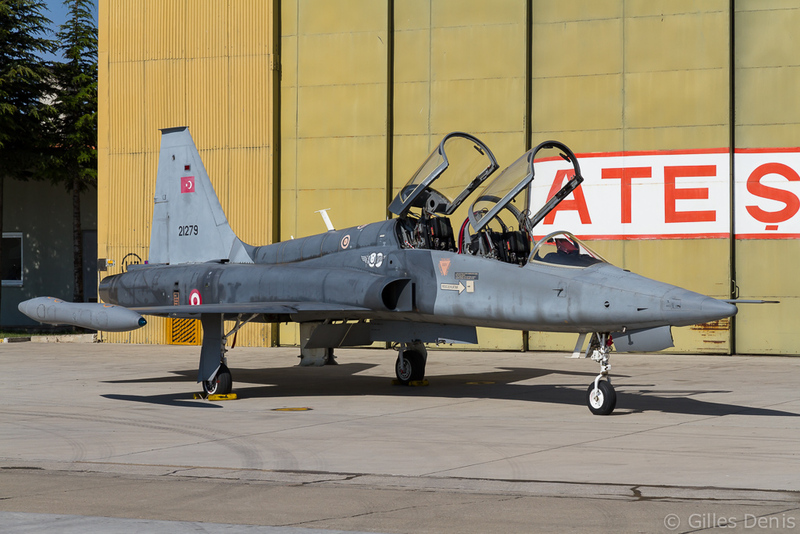 The author would like to thank the Turkish Air Force Headquarters for arranging his visit to AE-13/2 and also the staff at 3 Main Jet Base Konya for their hospitality.